All of Joseph’s songs on his YouTube channel are either Live Performances or were recorded in his Portable Studio. He is currently pursuing having them produced in a professional studio. In the meantime, please enjoy them, be touched by the messages and pass on the links to others. 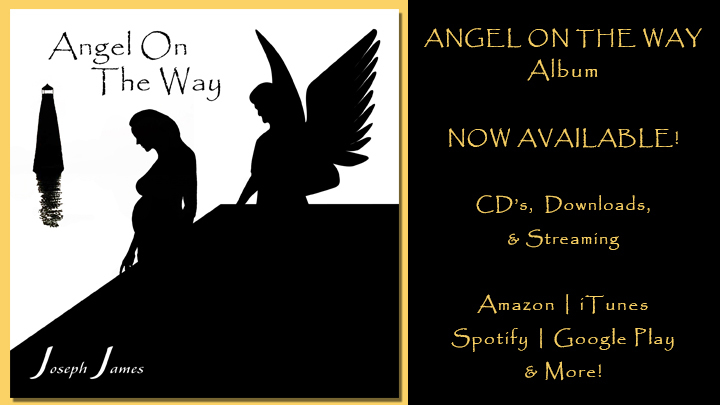 Angel On The Way | Amazon | YouTube Also on iTunes, Spotify, Google Play & More! Honey I Love You | Amazon | YouTube Also on iTunes, Spotify, Google Play & More! Fly From Here | Amazon | YouTube Also on iTunes, Spotify, Google Play & More! Locked Inside | Amazon | YouTube Also on iTunes, Spotify, Google Play & More! The Gift | Amazon | YouTube Also on iTunes, Spotify, Google Play & More! Love Song | Amazon | YouTube Also on iTunes, Spotify, Google Play & More! A Table For Two | Amazon | YouTube Also on iTunes, Spotify, Google Play & More! Lonely Road | Amazon | YouTube Also on iTunes, Spotify, Google Play & More! Love Of His Life | Amazon | YouTube Also on iTunes, Spotify, Google Play & More! There You Go Again | Amazon | YouTube Also on iTunes, Spotify, Google Play & More! Crossroads | Amazon | YouTube Also on iTunes, Spotify, Google Play & More! Gotta Be Real | Amazon | YouTube Also on iTunes, Spotify, Google Play & More! The Stranger | Amazon | YouTube Also on iTunes, Spotify, Google Play & More! The Old Man | Amazon | YouTube Also on iTunes, Spotify, Google Play & More! 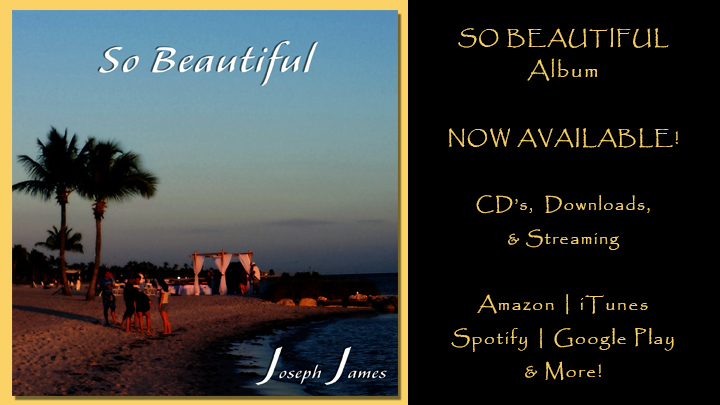 So Beautiful | Amazon | YouTube Also on iTunes, Spotify, Google Play & More! Joseph James is writing some new, more generic songs that are more about romance. He wants to be able to take them into places where they won’t allow Contemporary Christian music. This will open more doors to bring encouragement and hope to those who need it. He has three new songs coming soon! 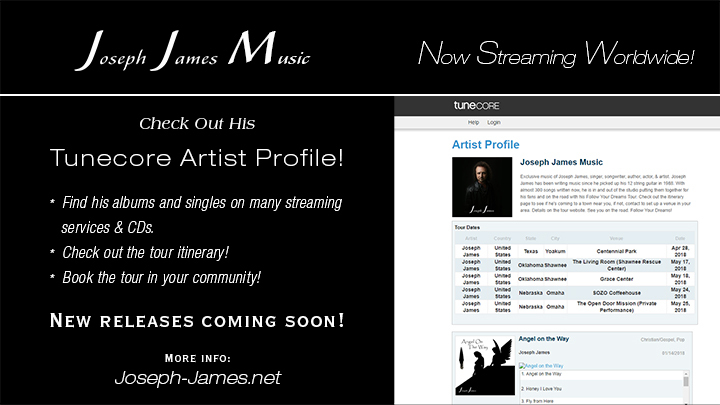 Some of his music is available for purchase on his BandCamp page. Angels are all around us as well as demons. They interact with our prayers and sometimes we get to see them. The power of prayer and the angels can change destinies helping us get through things miraculously. Never give up hope! Destiny! The Portable Studio version is available for purchase on his BandCamp page. The song begins with a lady sitting at a table for two, looking out across the ocean while waiting expectantly for her lover to meet her. The time drags on and she begins to wonder if he will ever come, until she sees a light on the ocean. Is it him? What could have happened? 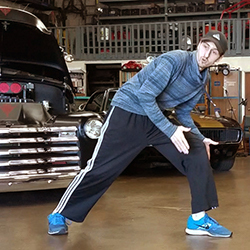 Romance, expectancy&HELLIP; This song is currently being produced as a music video on location in Homer, Alaska and Fort Myers, Florida. Coming Soon! The Portable Studio version is available for purchase on his BandCamp page. Sometimes we get lost in the crowd and sometimes the crowd is our friend. There is someone special though who sees us even when we are all alone inside our self. He loves us and He really does have our heart in His hands. Remember, we are never really alone. 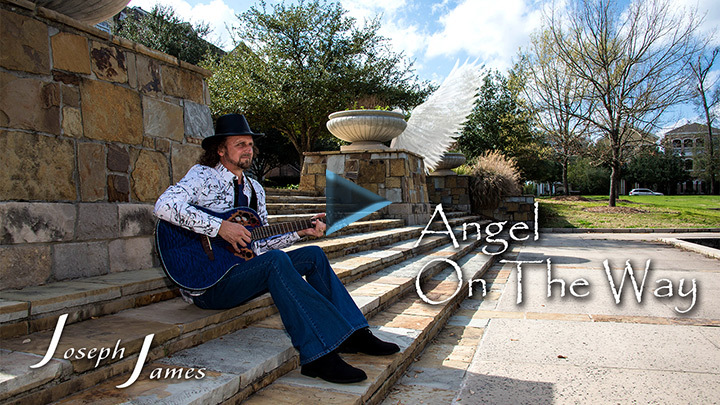 Joseph produced this song with his portable studio in Newnan, GA. The Portable Studio version is available for purchase on his BandCamp page. Who is the stranger? You might meet him where you least expect. At the end of the road, there is always a way through. At the end of love, there is a new love. Never, ever give up. Someone is watching and waiting. As Joseph was writing this song, he was thinking about The Road Not Taken, by Robert Frost. There are many roads we can walk, but some seem especially lonely, until we discover something incredible along the way. There is a twist at the end of this song. We hope it blesses you in your journey. Destiny! He filmed and recorded this video outside on the 6th floor terrace of the Hilton Tucson East in Tucson, Arizona. He loved the backdrop of the mountain and singing it out over the city. Joseph performed this new song, which is the theme song for the tour, in a small concert setting in a home in Shawnee, Oklahoma. Everyone has a dream and to discover it, go for it, and weathering through all the storms on the way can be difficult, but it’s always worth it. Don’t give up your dream and don’t end your life prematurely. Storms are temporary and soon the sun will shine again. If you need help, please get it. Sometimes just making it through another day is all that’s needed. We felt it necessary to get this song out quickly and then record it later in a studio with all of the background instruments. Be encouraged! A romantic and joyful song with a little bit of adventure and love in the air. 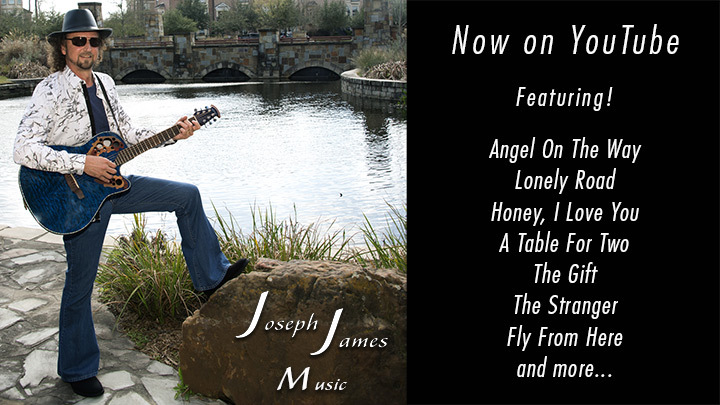 Joseph James wanted to write a lively and energetic love song and he hopes you will like it. Who is that someone special in your life? Do you know of someone who is deep in depression and suicidal? Joseph and his wife minister to those going through dark times, because they’ve both been there and made it through. If you read Janiece’s bio, SentencedToDeathDestinedForLife.com, you will see that she’s gone through multiple attempts in her past. She made it through and so can you!!! Believe! Trust that there is something better, you just have to hang on for a little while longer!